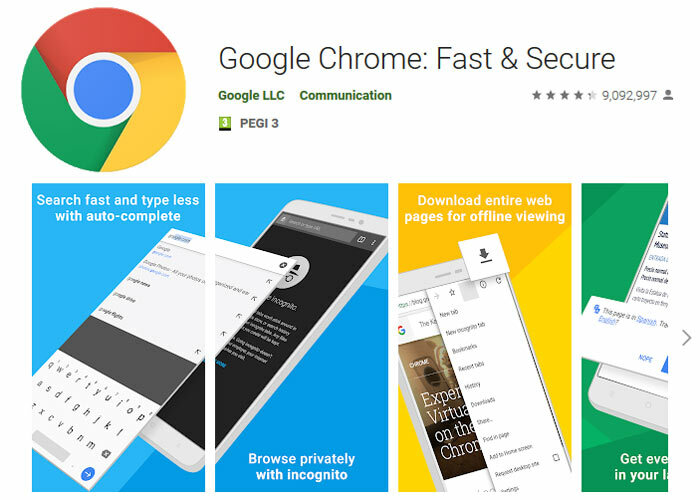 Google has released Chrome 66 to the stable channel and it has started to roll out as an update for users on Windows, Mac, Linux, Android, and iOS. There are a number of welcome new features in this release of the popular browser, as well as the usual bug and security fixes. In its writeup of the new software, VentureBeat highlights the way in which autoplaying content with sound is now blocked by default. Apparently this feature was originally due for mass consumption in January; nevertheless it is still a very welcome addition. Latest version is now available directly on the Google Play Store for Android, for example. The way that autoplay blocking works isn’t that straightforward so is worthy of some explanation. In tests undertaken by VB, it was discovered that muted content still autoplayed. However, “autoplaying content with sound, whether it has visible controls or not, and whether it is set to play on loop or not, simply does not start playing,” observed the tester. Experiences on the YouTube video site autoplay blocking seemed inconsistent. If you are looking at a dedicated video site though, autoplaying videos might be a desirable feature. When you download Chrome 66 you might be selected to be one of a small percentage of users to test ‘Site Isolation’ technology. The Chrome blog explains that “Site Isolation improves Chrome's security and helps mitigate the risks posed by Spectre.” If you suspect it of causing issues, it can be toggled in chrome://flags#site-isolation-trial-opt-out. Google would appreciate feedback on issues experienced. As annoying as it is on some on some sites, if there's a user configurable exception list then I'll be happy. Its important to me to have autoplay with audio on some client facing sites for work. Yes I know you can get plugins that do a lot of it but I just see it as extra bloat to a program and imo it's bad user experience on a website too. and right in front of pop-unders….